IRRI joins PhilRice Los Banos Station's "Lakbay Palay"
To celebrate Farmer’s Day, IRRI joined Philippine Rice Research Institute (PhilRice) Los Baños Station’s 2017 Wet Season Lakbay Palay last 18 October. Bearing the theme “Binhing Sapat at Angkop, Itaguyod Natin”, the event aimed to teach farmers about new and appropriate rice technologies that they can adopt for a more sustainable rice production. 390 farmers from the CALABARZON region attended this bi-annual gathering. Various rice-related technologies were showcased in the exhibits, including hybrid and inbred seed production. 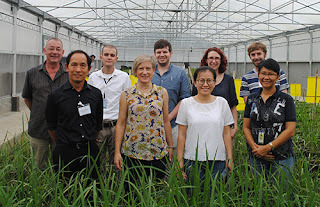 IRRI in particular, highlighted hybrid rice technology, heirloom, and next generation (Next-Gen) rice varieties developed for major ecosystems in the Philippines. A Technology Forum was held as part of the event. 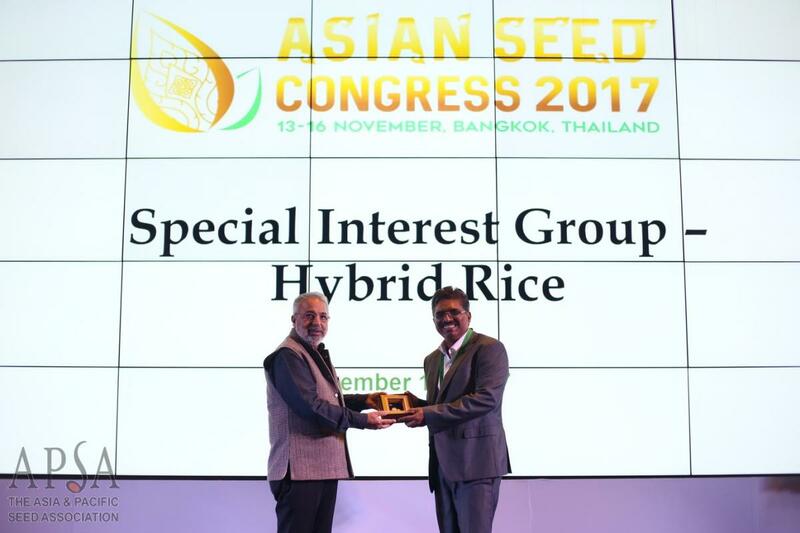 Keynote speakers discussed the importance of public hybrid seeds and its role in increasing agricultural yield. As a token for the event, IRRI gave farmers some samples of improved irrigated and rainfed rice seeds. Quality seed production and ensuring delivery of quality seeds to farmers are significant challenges for national seed systems around the globe. To address these challenges, IRRI Education, together with with the International Center for Tropical Agriculture (CIAT) and the Latin American Fund for Irrigated Rice (FLAR), conducted a two-week training on seed production and understanding of seed systems. 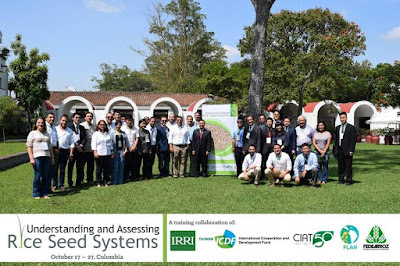 Entitled Understanding and Assessing Rice Seed Systems, the training which ran from October 17 to 27 was attended by 20 delegates from four Latin American countries: Colombia, Ecuador, Bolivia and Panama, in addition to Taiwan and Japan. 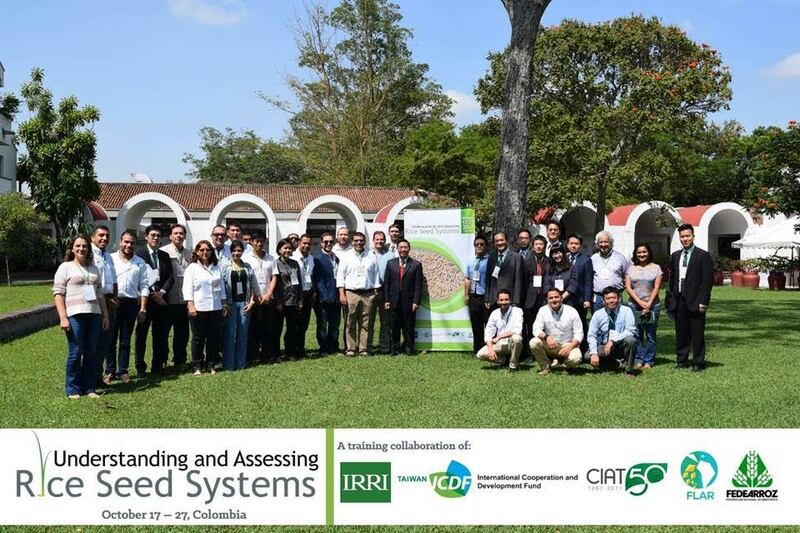 The first leg of the training was held at CIAT headquarters near Cali, Colombia while its second leg was held in Ibague City, Colombia, hosted by the Rice Producers Federation of Colombia. The second leg of the training included sessions about seed systems by Dr. Silmar Peske, seed expert from Federal University of Pelotas in Brazil, and editor of SeedNews bulletin. Tours were also conducted to provide a context of rice and seed production in Colombia. "This training has been a great opportunity to provide capacity building for FLAR partner countries. There is plenty of excitement among participants to learn from experts as well as each other about how to address the many challenges of producing quality seed and understanding seed systems,” shared FLAR Executive Director, Eduardo Graterol. "The training participants have varied roles across the seed production chain, coming from both the public and private sectors and ICDF as a rural development organization,” added Dr. Ana Laura Pereira, seed production specialist from the National Institute of Agricultural Research in Uruguay. Dr. Pereira provided an excellent review of seed production techniques during the training. "This training brought a lot of different aspects together," said Jason Beebout, IRRI Education training designer. 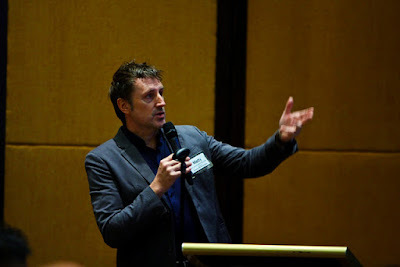 "Aside from this first-time partnership between IRRI and CIAT/FLAR for capacity building, it brings a diversity of participants and resource persons together”. 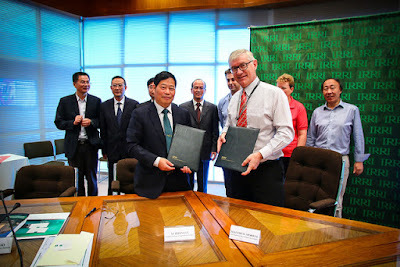 Taiwan’s International Cooperation and Development Fund (ICDF), an international organization that supports smallholder farmers globally, worked with IRRI and CIAT to sponsor this capacity building initiative. 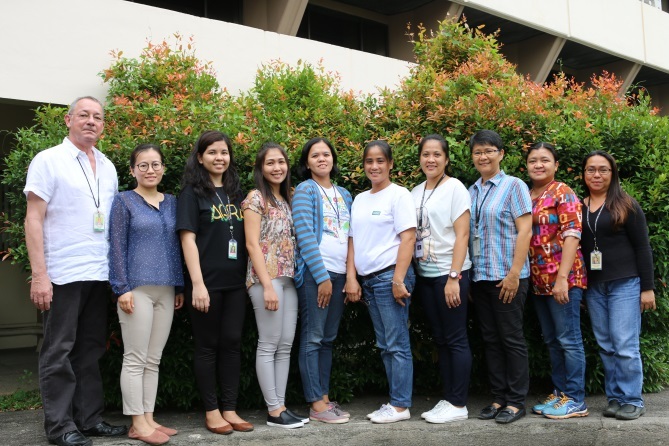 Following up from last year’s two-week Seed and Extension capacity training at the IRRI Headquarters, this initiative also widened the reach of IRRI Education. Bangladesh is prone to various natural disasters, such as severe flooding and pest onslaught, that cause significant damage to rice-based systems. The project’s aim is to test, validate, and outscale technologies and practices, such as the alternate wetting and drying (AWD) irrigation method, diversified rice-based cropping systems, and new rice varieties, to cope with the adverse effects of climate change in the country. To discuss strategies to help improve the lives and livelihoods of the rice farmers, a policy dialogue meeting on the constraints to the large-scale adoption of farm mechanization and AWD technology and the required policy measures in Eastern Bangladesh was held at the Bangladesh Academy for Rural Development (BARD) last 19 October 2017. This project, funded by the Asian Development Bank, is implemented at the Muhuri Irrigation Project area in Feni District, Bangladesh. It also seeks to address limitations in technology and identify required policy measures for scaling the climate-smart agricultural technologies. High-level officials and delegates from the academe, government, and private agencies were present during the event. Among them are policymakers, academicians, researchers, agricultural scientists, development workers, private sector representatives, and farmers. Dr. Shahjahan Kabir, Director General of BRRI, led the meeting, and Dr. Md. Abdur Rouf, Joint Secretary for Policy Planning of the Ministry of Agriculture, was the chief guest. 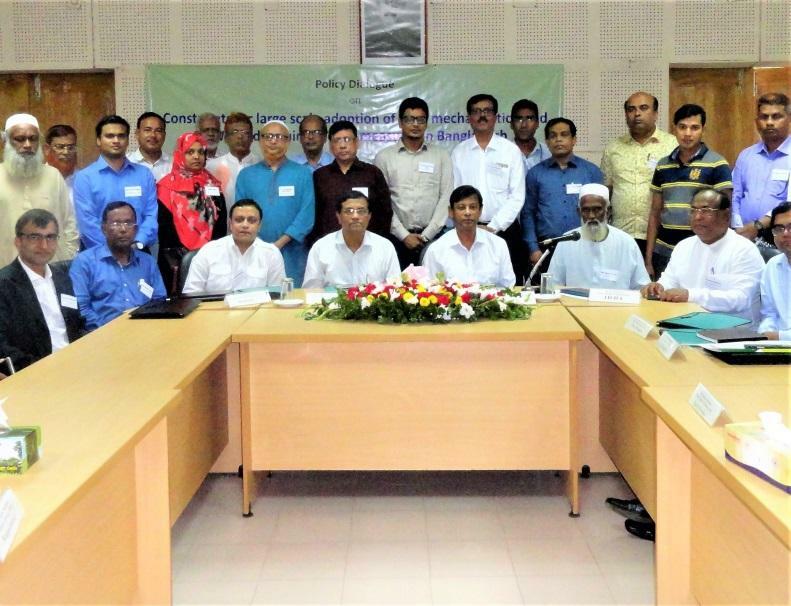 The participants also outlined the next steps in promoting rice transplanting and harvesting machines, and AWD methods in eastern Bangladesh. 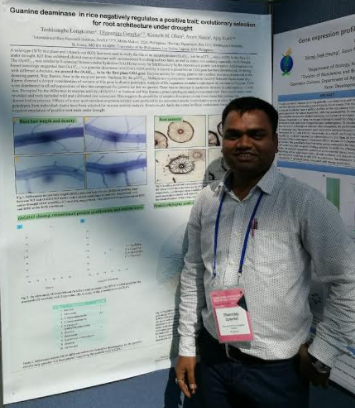 Dr. Arvind Kumar, IRRI Senior Scientist, and Dr. Abul Basher, ADB’s representative, gave keynote presentations that provided an array of information about the new technologies. Attendees expressed their appreciation for the event as it gave them a platform to discuss critical issues in Bangladesh’s rice industry. To ensure continuity of the project’s success, stakeholders may expect similar policy dialogues in the future. 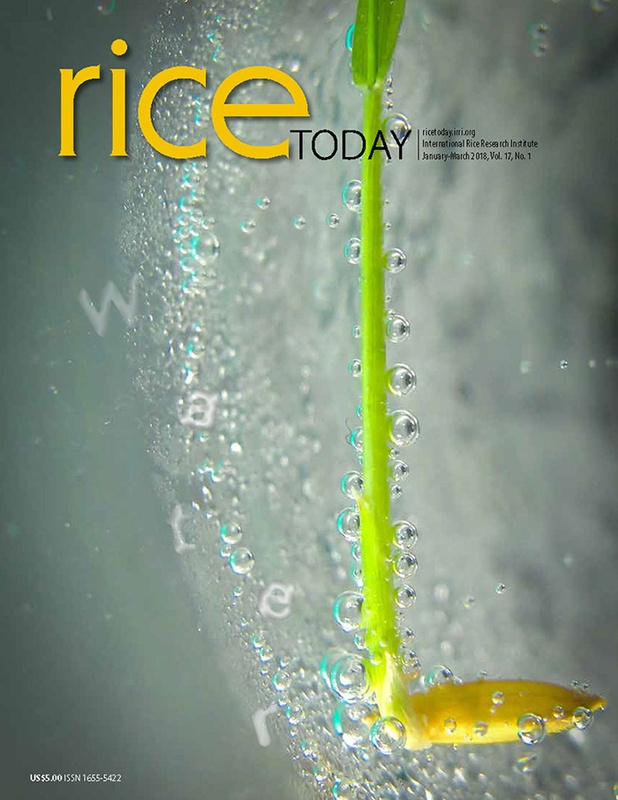 In Vietnam, it is crucial that rice producers and traders learn more about effective rice storage techniques to preserve rice quality and increase its market value. One significant challenge among Vietnam farmers is proper rice storage and management to maintain its prime condition. Mismanagement of storage can lead to rice loss due to birds, rodents, and other animals, as well as grain quality deterioration. On the other hand, storing rice properly helps preserve its high quality while reducing its negative effects in the environment. It also enables farmers to gain a bigger profit margin. To build awareness on effective and sustainable rice storage techniques, GrainPro and the International Rice Research Institute (IRRI) introduced the Ultra Hermetic Storage technology in Vietnam through a workshop titled "The Ultra Hermetic Storage: A seminar-workshop for ensuring Vietnam's rice quality". 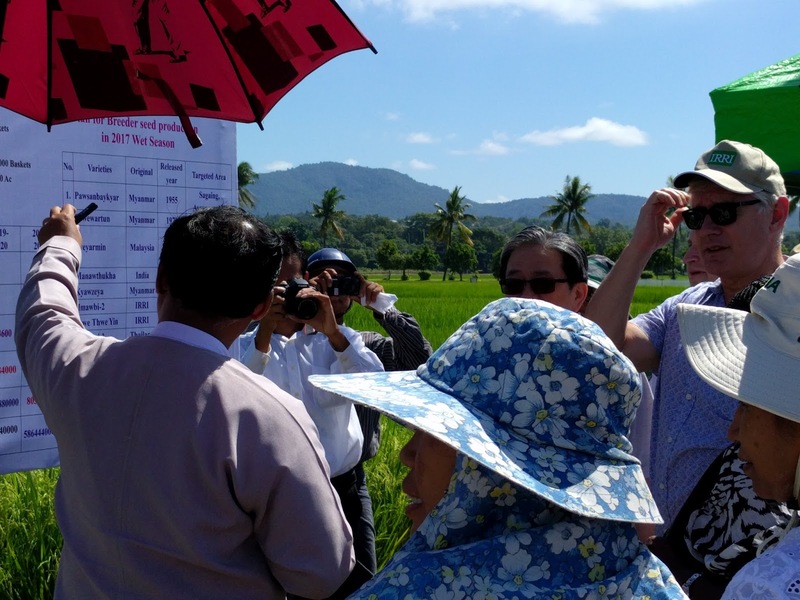 It was attended by government agencies, NGOs, and private sector representatives from big rice producers in the country. Hermetic storage is a postharvest technology that is being used in many countries for the past 20 years. Because of the air-tight enclosure, it can reduce loss and preserve grain quality. It can also be operated without power, and does not require pesticides for fumigation. “This workshop helped us understand best practices in storage management and gives us more options for our rice processing and business”, said Gentraco Corporation representative, Ho Chi Cong. Du Ngoc Bao Anh from the Loc Van Company added, “this new technology should be introduced to start-up business models supported by Vietnamese Government”. Promoting this postharvest technology among Vietnam's rice farmers can allow them to store rice that are of export quality. But to make this possible, the Ultra Hermetic Storage technology must be disseminated broadly. To this end, the workshop provided an opportunity to identify potential collaborations for wide-scale distribution, as it gathered private companies and government staff in Vietnam. 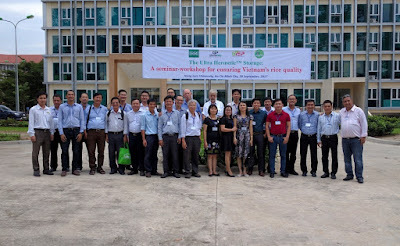 The workshop was co-organized by Martin Gummert and Nguyen Van Hung of IRRI, Tom de Bruin of GrainPro, and Dr. Nguyen Thanh Nghi of Nong Lam University. It was held last 28 September at Nong Lam University, Ho Chi Minh. On 10 October, Dr. Aung Thu, Minister of Agriculture, Livestock and Irrigation in Myanmar, joined the Board of Trustees of the International Rice Research Institute (IRRI) and senior leaders alongside members of the donor community to witness Myanmar becoming a signatory to the Seed Sharing Protocol Agreement. 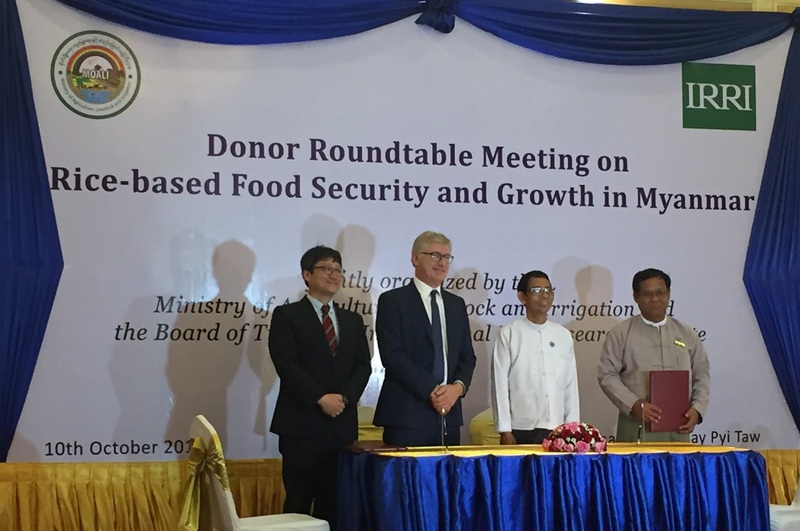 The signing took place as part of a day-long set of activities co-hosted by the Myanmar Department of Agriculture Research (DAR) and IRRI in Nay Pyi Taw, Myanmar. 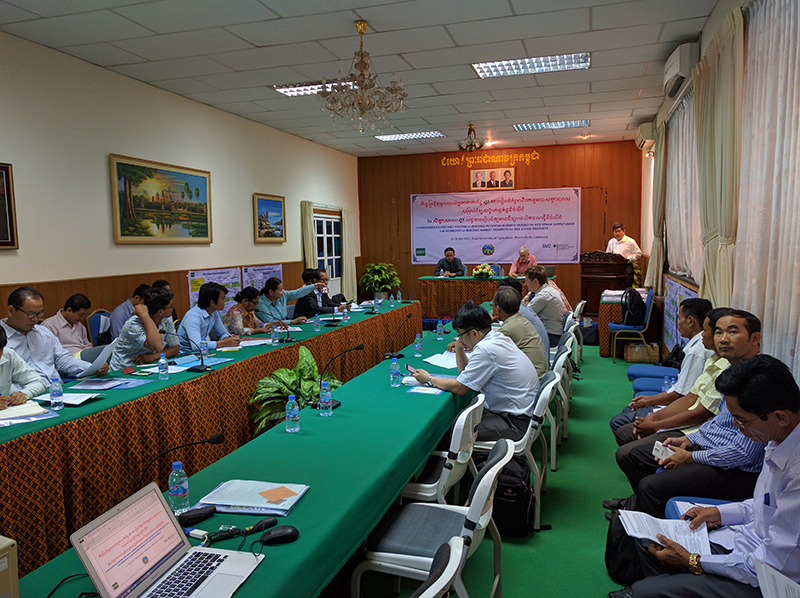 The Seed Sharing Protocol was first signed in Siem Reap in June, 2017 by the agriculture ministries of Cambodia, India, Bangladesh, Nepal, and Sri Lanka. 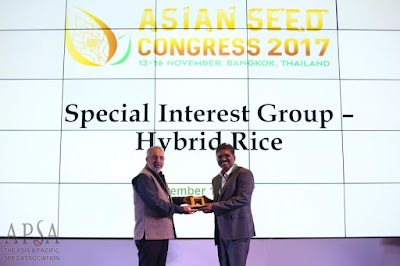 The protocol enables signatories to drastically speed up the distribution of modern rice varieties across their borders allowing new and better seeds to reach the hands and fields of farmers more rapidly. 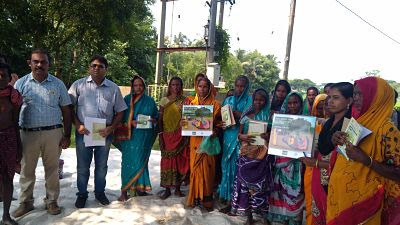 In just 3 years, eight rice varieties have already been released and shared across the three original member country signatories - Bangladesh, Nepal, and India. The protocol signing ceremony was followed by a Donor Roundtable discussion. Attended by U Naing Kyi Win, Director General of Department of Agricultural Research as well as representatives from USAID, the Asian Development Bank, ACIAR, the Chinese Embassy, JICA and the World Bank, the session featured a series of presentations on donor strategies for agriculture in Myanmar. U Kyaw Swe Linn, Deputy Director General of the Department of Agricultural Planning opened the session with a presentation on the goals and objectives for the agriculture sector of the Myanmar government. 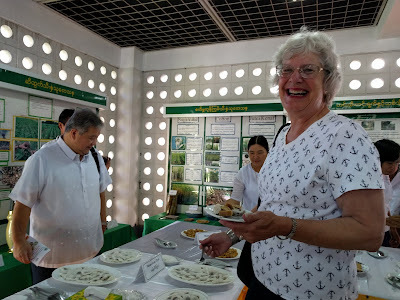 Earlier in the day, IRRI Trustees and senior leadership spent the morning at the Department of Agriculture Research where they were treated to a variety of traditional Myanmar rice-based delicacies. Information booths and a small demonstration of the sandalwood Thanaka were also available for those who wished to take advantage of the natural Myanmar sunscreen. The group then proceeded to view the DAR experimental rice fields where they were able to see several varieties selected and released by DAR including high zinc lines, IRRI variety trials, and the excellent farm management and support of IRRI’s field work. One of IRRI’s most significant initiatives is to develop and distribute high-quality, high-yield seeds that can thrive in vulnerable environmental conditions. 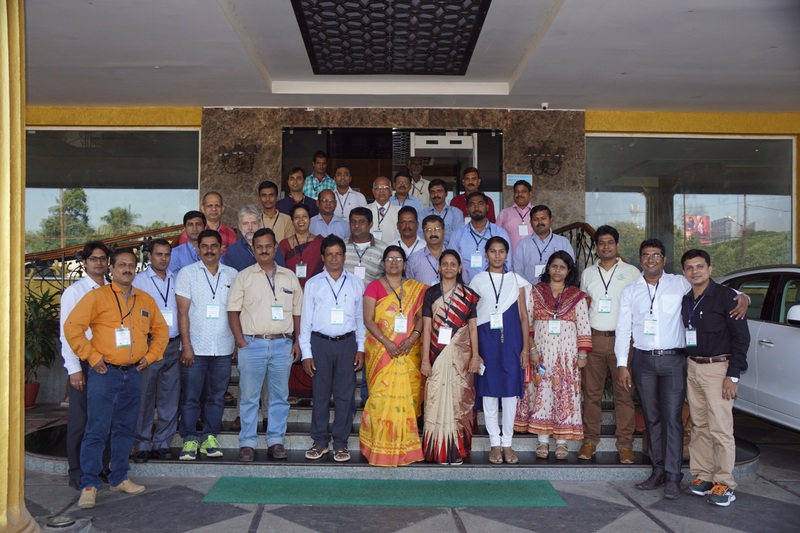 Working toward this mission, IRRI launched a project called “Increasing Production of Rice Based Cropping Systems and Farmer’s Income" in Odisha, India. This project aims to make high-quality seeds accessible in the region in order to raise rice productivity and farmers' income. As part of the project, a training program on quality rice seed production and storage was held last 6 September in Puri, Odisha, in collaboration with local NGO Lutheran World Relief Services. The training program will test and demonstrate the training modules for seed production and proper storage practices. Test results will be used to revise the existing modules on seed production, which farmers and other stakeholders can then use as a guide. The updated module will be distributed across Odisha, with IRRI aiming to reach 2,700 farmers in all 30 districts of the state. observations and actions needed at different production stages (i.e., harvesting, threshing, drying, postharvest, and storage). Recommended seed cleaning and storage practices were also demonstrated to the participants. In addition, training materials, such as flipbooks and manuals, were distributed among the farmers. The flipbook is specifically designed for women, as the program also aims to enhance women's capacity and increase their involvement in the seed sector. Participants also engaged in an open forum wherein they shared their experiences, asked questions, and voiced their insights. Other stakeholders such as Krishi Vigyan Kendra (KVK), seed certification units, seed producers, and agriculture officials are expected to join the next round of trainings. Dr. Angeline Kamba, 81, IRRI Board of Trustees Member from 1998 to 2003, died on September 12, 2017. A family representative stated that she “has passed peacefully at home after being unwell for over a month”. She is survived by two children and two grandchildren. 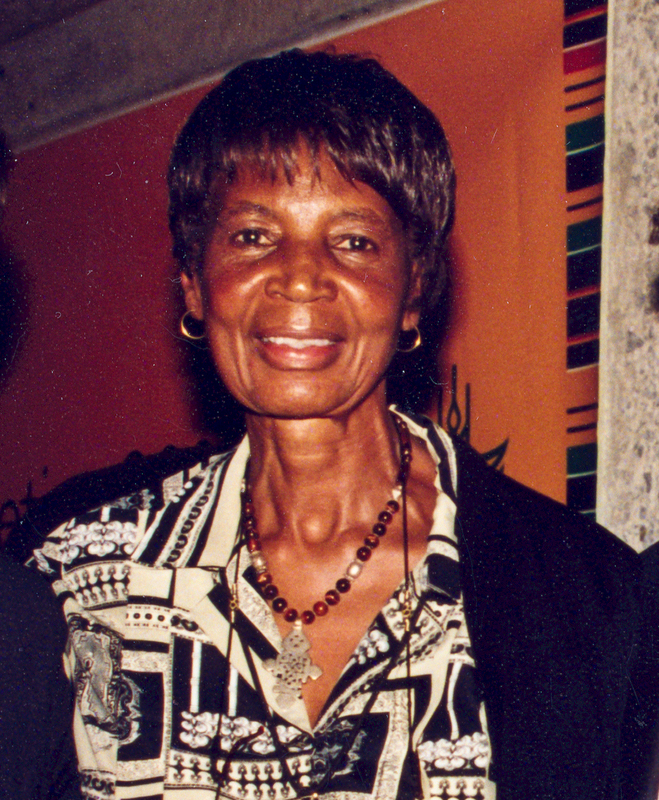 Dr. Kamba served as chair of the IRRI Board from 2002 to 2003, the first woman and African to serve in the position. Prior to this, she was Zimbabwe’s representative to UNESCO Commission on Culture and Development, and held other positions in different local and international agencies such as Zimbabwe’s National Archives and CAB International. She is a terrible loss to the development industry, and we express our deepest condolences to her family. IRRI joined the 30th National Rice R&D Conference held at the Philippine Rice Research Institute (PhilRice) Central Experiment Station in Muñoz, Nueva Ecija on 5-6 September. Deputy Director for Communication and Partnerships Bruce Tolentino headed the IRRI delegation and presented the institute’s 2017-2025 strategic plan. There is a great need to quickly disseminate water-saving technologies to the farmers of Bangladesh, according to Md. Toufiqul Alam, additional secretary of the country's Ministry of Agriculture. 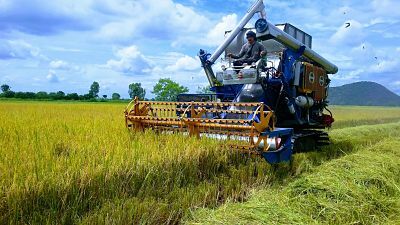 With that goal, the International Rice Research Institute (IRRI) and the Asian Development Bank (ADB) organized an inception meeting for the project, “Piloting of Climate-Resilient Agricultural Practices in Bangladesh” at Feni, 21-22 August. The purpose of the meeting was to discuss new knowledge from the launch of climate-resilient water-saving alternate wetting and drying agricultural practices. LOS BAÑOS, Philippines ― IRRI's Genetic Transformation Laboratory, headed by Dr. Inez Slamet-Loedin, was recognized at the Regional Science and Technology Week (RSTW) for its work on iron- and zinc-enriched indica rice. The study is regarded as a breakthrough in the battle against micronutrient deficiency. IRRI's Genetic Transformation Laboratory Team receives an Outstanding Research Award from LBSCFI's PARRFI. Titled "Biofortified Indica Rice Attains Iron and Zinc Nutrition Dietary Targets in the Field," the paper garnered the Outstanding Research and Development Award for the Research Category from the Los Baños Science Community Foundation, Inc.'s (LBSCFI) Philippine Agriculture and Resource Research Foundation, Inc. (PARRFI). LBSCFI's PARRFI grants this award to agricultural, forestry, and environmental projects that contribute to national development. The study was also recently published at Nature's Scientific Reports. "The team is really excited to learn that we won the award. We feel honored that our continuous and persistent effort all these years was greatly appreciated. 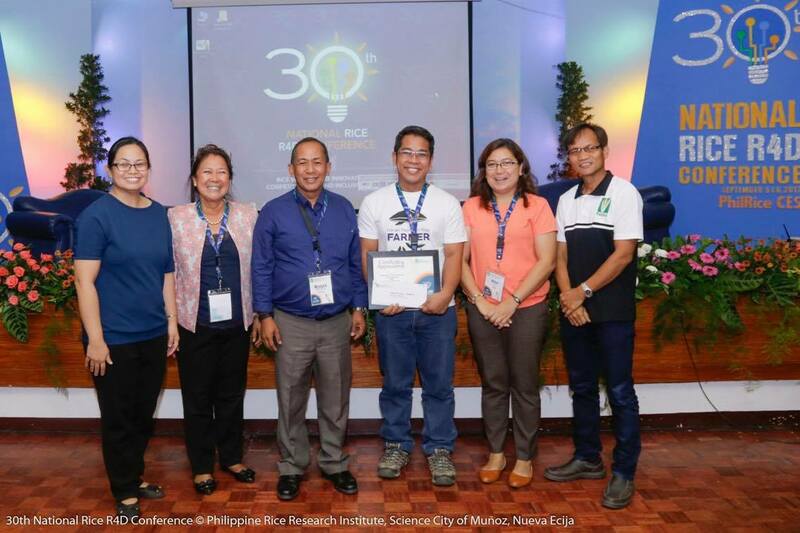 This recognition would certainly encourage the team to work with more spirit and more focus on developing healthier rice varieties for rice consumers," said Norman Oliva, one of the researchers. The study successfully verified the proof of concept on attaining Fe/Zn nutritional targets under flooded field conditions. Genetically engineered rice has raised the levels of iron (up to 15 micrograms) and zinc (up to 45.7 micrograms). Generally, polished rice grains contain only around 2 micrograms of iron and 16 micrograms of zinc. 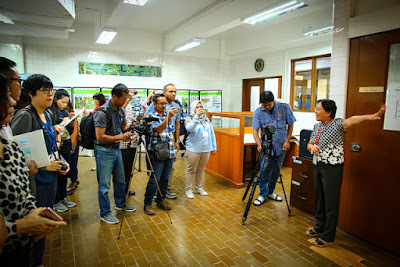 The RSTW, themed Science for the People: S&T in Harmony with Biodiversity, was organized by the Department of Science and Technology (DOST) Region IV and featured back-to-back activities with the LBSCFI. Highlight of the celebration was the Syensaya's Wonderama, which showcased interactive urban-, marine-, agriculture-, and environment-related exhibits. Simultaneously, fora were also conducted, including the DOST CALABARZON Community Empowerment thru Science and Technology Forum and LBSCFI's Technology Forum on Water Security. The event was held on August 2-4. It is with deep sadness that the International Rice Research institute (IRRI) announces the passing of Dr. Gelia Tagumpay Castillo, 89, on Saturday, 5 August. Gelia, who was a Philippine National Scientist and long-time IRRI consultant, had been ill for some time. Born on 3 March 1928 in Pagsanjan, Laguna, Philippines, she was an internationally respected rural sociologist. Her outstanding publications are major and definitive works on Philippine agricultural and rural development. Gelia earned her AB (psychology), MS (rural sociology), and PhD (rural sociology) degrees, respectively, at the University of the Philippines (1948), Pennsylvania State University (1958), and Cornell University (1960). She began her professional career as an instructor in psychology and sociology in the Department of Agricultural Education, College of Agriculture, University of the Philippines (UP, 1953-57). She went on to become an assistant professor, associate professor, and full professor of rural sociology at the UP College of Agriculture, respectively, 1960-66, 1966-72, and 1972-88). In 1988, she was appointed to the highest rank of university professor (one of the first six appointees to such a position at UP, which she held until her retirement in 1993). On 3 March 1993, she was appointed as professor emeritus. In 1999, she was conferred the rank and title of National Scientist by the President of the Philippines. She also received the Distinguished Alumnus Award of the UP Alumni Association (1975), the Rizal Pro Patria Award (1976), and the Distinguished Alumnus Award of the UP College of Agriculture (1979). Outside the Philippines, she was a teaching and research assistant and visiting professor in the Department of Rural Sociology, Cornell University, 1958-60 and 1966-67, respectively. Gelia makes a point during IRRI's 2010 science review. 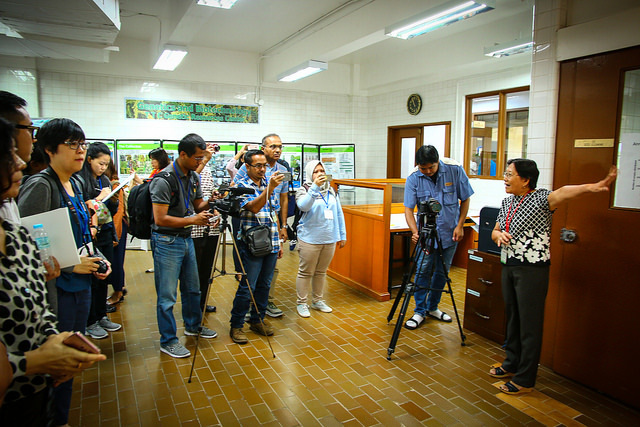 At IRRI, she served as a visiting scientist in the Social Science Division during the mid-1980s and was a consultant to the Institute beginning in 1994 through to 2013. Recently made an IRRI scientist emeritus, she was truly the grande dame of the Institute community. She was contributing her social science expertise to the early efforts of the Institute’s fledgling Agricultural Economics Department as far back as the 1960s. More than half a century later, she was still asking piercing questions at Thursday seminars and making pithy on-the-mark observations during IRRI’s annual scientific reviews, like this synopsis given at the conclusion of the 2010 review when she emphasized the importance of the Global Rice Science Partnership. Her 2009 IRRI Pioneer Interview (depicted in the photo montage at the top) displayed her great enthusiasm, zest, and love for rice, rural sociology, and life itself. Gelia is survived by three children, Evello (Bobby) Castillo, Gertrudes Castillo Holder, and Nina T. Castillo-Caradang; six grandchildren; and one great grandchild. She was preceded in death by her husband, Leopoldo S. Castillo, who was professor emeritus at the UP Institute of Animal Science. In lieu of flowers, colleagues and friends may give a donation in honor of Gelia to the Philippine Sociological Society. Listen to some of the speakers at a memorial service for Gelia attended by IRRI colleagues held on 9 August 2017 at the Resurrection Chapel of St. Therese on the UPLB campus in Los Baños, Laguna. New Delhi, INDIA—“To find effective interventions that can improve nutritional security for poor families in eastern India, researchers must first better understand what drives their food choices,” says Dr. Matty Demont, senior economist at the International Rice Research Institute (IRRI) and leader of the project, Drivers of Food Choice in eastern India (DFC). Innovation platforms (IPs) provide a space for farmers, agricultural service providers, researchers, the private sector, and other stakeholders to jointly identify, analyze, and overcome constraints to agricultural development. Recognizing the need to reflect critically on how IPs can meaningfully contribute to agricultural research for development, collaborators from a number of CGIAR centers and universities have published a booklet, Guidelines for Innovation Platforms in Agricultural Research for Development. 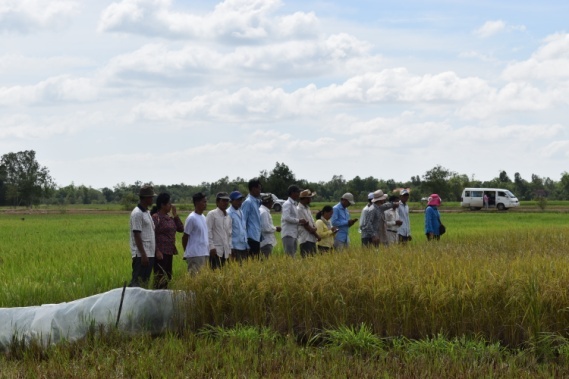 Phnom Penh, Cambodia – Sustainable rice straw management practices in Cambodia can enhance using the byproduct to significantly increase farmers’ income. 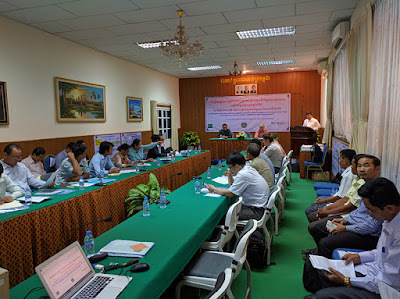 On 5-6 July, this was examined during a roundtable meeting and workshop on building potential business models for the rice straw supply chain in the country.